What perks come with membership in Flavours To Go? Is there a fee to become a Flavours To Go member? How should I store Flavours? What flavours do you offer, and how do they differ from one another? How long does it take mix flavours for e-juice? What are the advantages of mixing your own recipe with a heated mixer? I am a Flavour addict. What do you recommend? I don’t see my favourite Flavour. Can you get it for me? Why are some of my favourite Flavours out of stock for so long? What types of payments are available? I want to make a purchase, is there an age requirement? What happens when your posted price is in error? Can you help me find what I’m looking for? Can I pick up my purchases at your store? Price matching – Price matching is another perk available only to members. We will match any currently advertised price on all products by any regularly priced online Canadian retailer (not their sale price). To qualify, send us a quick email at [email protected] with the link of the item in question. Special Promo Codes – A special Promo Code will be sent exclusively to our valued customers that have subscribed to our newsletter randomly through the year; this code will not be advertised and is our way of thanking you for being a great customer. Is there a fee to become a Flavours To Go member? – Membership is free and lasts as long as you remain a subscriber. To join Flavours To Go and subscribe to our mailings, click here. How should I store Flavours? – The best way to store your flavours would be a dark cool place, typically like your closet or a shoe box, for example, minimizing light and heat. It’s not a good idea to store your flavours in the freezer, the extreme cold will cause some flavours to separate and the flavour may “break” and may never allow you to get them mixed again. Some separation of flavours in any setting may occur, this is a normal and shaking the bottle will re-mix the flavour. You may store the flavours in the refrigerator, it can extend the shelf life up to 4 years, according to one of my manufactures, but you still run the chance of having certain flavours” break” over time and permanently separate in the refrigerator as well. The more you open and expose the concentrate to oxygen, the more it will change. Be aware that pigments in the flavours may tend to fade, discolour or darken over time, this is a normal process. What flavours do you offer, and how do they differ from one another – We currently offer flavours from seven top manufactures and you will find each manufacturer has a different process of extraction. Essentially you may find, for example, Peach from both Inawera and The Flavor Apprentice, each is a high concentrate flavour, but they will be slightly different in taste/aroma, it could be that little difference that your mixture needs. How long does it take to mix flavours for e-juice? – Mixing the flavours take a few minutes but depending on the type of ingredients steeping time varies greatly from 24 hours to several weeks, general rule of thumb, fruit flavourings tend to steep quicker than Vanilla/Custard extracts (fruit molecules are smaller and tend to mix quicker), there are a number of e-juice calculators available, the most popular is Steam-Engine. What are the advantages of mixing your own recipe with a heated mixer? – Mixing your recipe with a Heated Magnetic Mixer (nicotine should be added once mixed and cooled) will cut down the steep process significantly. With so many variables as to temperature, different ingredients used, number of ingredients and length of time mixing, will all change the steep time and end flavour, if overdone, a “cooked” taste can be present, but if done correctly, you can change your steep time to a day from weeks, make sure to take notes as you experiment. I don’t see my favourite Flavour. Can you get it for me? – We’ll be pleased to consider your request when ordering our next shipment of flavours. Drop us a line at [email protected] with your suggestions. We’ll do our best to meet your needs, and will let you know either way. Why are some of my favourite flavours out of stock for so long? – Some flavours are popular and are on backorder with the supplier, one of those instances where demand is greater than supply, Unfortunately, we have no control over these backorders but once the backorder is lifted they will be available on our site once again. What types of payments are available? – We are currently replacing our credit card terminal. However, we do accept Paypal. 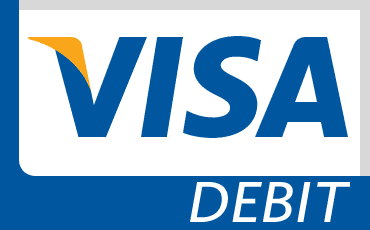 Should you want to pay with Visa Debit and not sign up with Paypal, choose the Paypal button, and when redirected to Paypal site, click the button at the bottom that says “Pay with Credit or Visa Debit” to proceed (no need to sign up). Once payment is confirmed, you will be redirected to our site for confirmation. All pricing is in Canadian Dollars. No Credit Card information is stored on our site. I want to make a purchase, is there an age requirement? – If you Vape and are purchasing ingredients to DIY your own e-juice, you must be of legal smoking age in your province, however, we also cater to baking, cooking and mixing your own flavoured drinks, no age requirement is needed to make a purchase online at Flavours To Go. We now carry nicotine; and should you wish to purchase nicotine, you must be smoking age in your province and show ID when the package arrives, if you are underage, the package will be returned to us and we will refund your purchase less shipping and restocking fees. Please note that both our pick-up locations in Calgary and Airdrie are vape shops, where you have to be of legal smoking age (18) to enter and pick-up your order, Government issued ID with a matching order name will be required to pick-up at these locations. Should you want someone else to pick up your order, please make a note in the comment section of the checkout page with the name of the person that will be picking up the order. What happens when your posted price is in error? – All prices, specifications, and offers are subject to change at Flavours To Go’s discretion at any time without notice. Flavours To Go cannot be responsible for typographical errors. If due to an error you have been inadvertently misled, we will take back the product and issue a full refund. If we have undercharged you due to an error in the displayed price, we will cancel the order, return your money, and ask you if you would like the product at its correct price. We will also provide some compensation, by way of apology. Can I pick up my purchases at your store? – We do not currently have a brick and mortar location at the moment, but we do have two locations you can pick-up any sized order from in Calgary and Airdrie (see below for address, map and times), saving you any shipping costs, Our Calgary location is once a week on Saturday for pick-ups and our Airdrie location will be daily (Monday to Saturday) for pick-ups. Please enter a location, either Calgary or Airdrie in the comment section of the Checkout page.